Your mobile customers can stay connected to their email, calendars, contacts, and more while on the go from their iPhone, Droid, Windows Phone 7, BlackBerry or other popular smartphones. Offer your customers a hosted archiving service that will help them solve their data storage, e-discovery and regulatory compliance needs. With our partner model, you keep ownership of your customers and set your prices. This can help you increase customer retention and your revenue stream. There are no minimums to get started and it is absolutely FREE to sign up. Sell the most in demand business services under your brand – Hosted Exchange, mobile email, hosted archiving, and more. Set your own price, further strengthen your relationship with your customers and dramatically increase your average revenue per user. 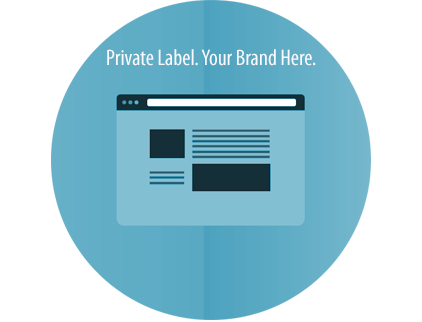 Learn More about our Private Label Partner Program or Sign up today and offer your customers a full suite of enterprise-class business tools as hosted services. Our White Label Reseller Program enables you to go to market in minutes, providing your customers with immediate access to industry leading services under a generic brand. Learn More about our White Label Reseller Program or Sign up today and offer your customers a full suite of enterprise-class business tools as hosted services.